Dan Graf came to us a few years ago from New Jersey. He worked the counter and on the line. His dry sense of humor and East Coast palate captivated customers and co-workers alike. Dan eventually brought a whole posse of his friends from Jersey to work at Saul’s, and it was a lot of fun. At the same time Peter Levitt, Saul’s Co-Owner and Executive Chef, dreamed of raising the bar for the bagel experience. He believes people could and should be just as excited about bagels as they are about, say, wood-fired pizza, IF bagels were given the time and attention they deserved. But the Saul’s kitchen and chef responsibilities are packed with everything else served in Saul’s 100+ seat deli. Peter always pestered Dan (and any employee that would listen) with: “Why don’t you start a bagel business and sell me bagels?” And so on. Baron Baking Bagels. Courtesy of Dan Graf. Then, Dan goes away for a few years. On Tuesday, June 5, without any warning, he walks into Saul’s with an armful of bagels he made all by himself. Bagels with contrast: dense, shiny, a chewy, crunchy crust and a depth of flavor that can only come from fermentation (and time and attention). They’re a revelation. So less one week after Saul’s tasted them, we were selling Barons. As of Monday June 11. Come taste them and let us know what you think. Seems it’s famine to feast on “real” handcrafted bagels in the Bay Area: Baron’s based in Oakland, Beauty’s in SF and soon-to-be Oakland, and SF-based Schmendricks. All truly a giant leap forward. Certainly we at Saul’s think so. 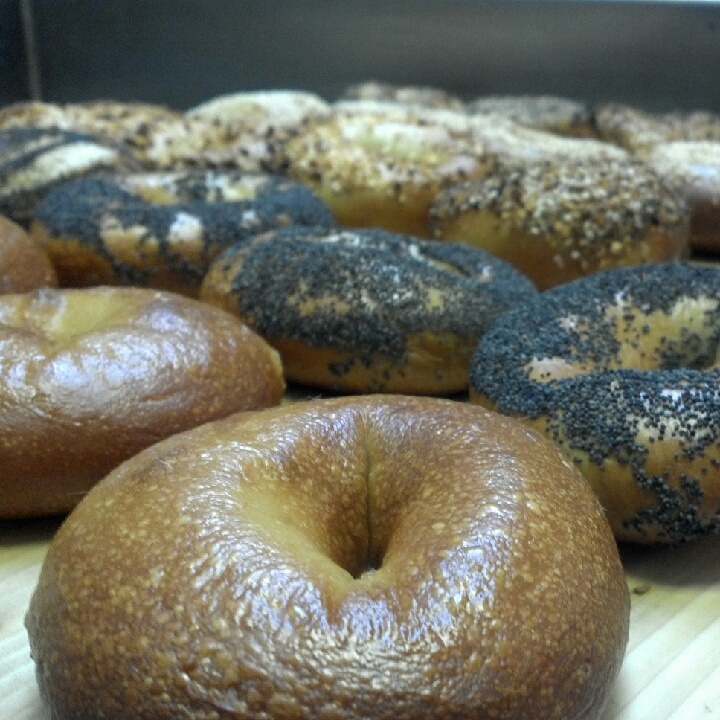 Rally your friends and family for the revolution in Bay Area bagels and bagel expectations! NY Times: Was Life Better When Bagels Were Smaller?